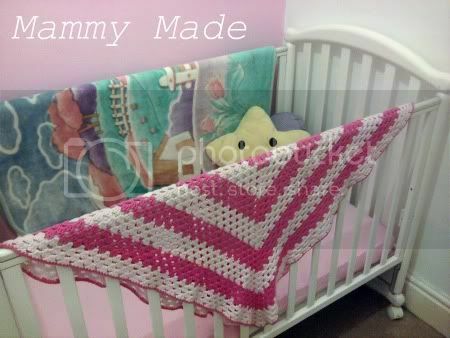 I used cotton yarn (baby pink and hot pink) and a 4mm hook. To make it, I just made a giant granny square, changing the colour every 4 rounds. I did 32 rounds altogether, finished with a row of sc in the same colour as the first 4 rounds. Thanks for linking up to Scrappy Saturdays, hope to see you back next weekend!